Nicaragua is the poorest country in Central America and the second poorest country in the Western Hemisphere, creating a population susceptible to a number of health problems. Malnutrition, communicable diseases and inadequate basic sanitation are all present, but the health profile also includes high rates of chronic and degenerative diseases, traffic accidents and violence. Limón is located approximately 120km from the capital city of Managua in the department of Rivas. The community is located on the Pacific Ocean. While development has occurred in the Limón area due to the picturesque scenery and increase in tourism, locals are still left without access to quality healthcare and specialty services. We started house-to-house with an extensive community diagnostic. We built our programs around the needs of the community. We built our clinic in the Casa de Refugio. We live and breath healthcare in the Limón area to better serve our patients. As one of the poorest countries in the Americas, Nicaragua presents serious challenges related to health care. Nearly half of Nicaragua’s population lives below the poverty line and nearly half lacks sustained access to proper sanitation. According to the World Health Organization, only 6.3% of Nicaragua’s population carries health insurance. As a result, child illness and mortality rates are high for the region, and preventable or treatable conditions such as respiratory diseases, diarrhea, and malnutrition make up the main causes of death for children under five. 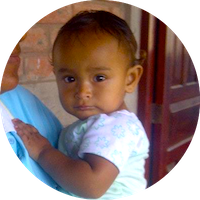 Project Limón brings medical care to children living in remote areas of rural Nicaragua through two distinct channels. The first is by our very own pediatric health clinic out of the Casa de Refugio. The Casa de Refugio is the hub of FIMRC activity and houses many Global Health Volunteer Program and health education activities. We also have collaborative partnerships with neighboring health care facilities run by the Ministry of Health. The community of Las Salinas has a well organized community leadership that supports the health clinic as well as outreach programs to local schools and homes. Working with our team, the Las Salinas Health Post provides primary care, emergency care, and health education to children and adults. In partnership with the health post, FIMRC aims to expand the program of free medical care for children while providing Global Health Volunteers the opportunity to serve the community alongside the medical staff in preventive health measures. Additionally, FIMRC’s partnership with Hospital Gaspar Garcia, located in Rivas, affords Global Health Volunteers currently enrolled in medical school the opportunity to observe surgeons while getting a first-hand glimpse into the national public health system on a large scale. FIMRC's Casa de Refugio hosts two separate clinics: the pediatric health clinic and the women's health program. The clinic houses an administrative office, a patient waiting area, and a private consultation room for patients. We take a holistic approach to providing access to all children in the region through clinical services as well as a comprehensive health outreach program. In an effort to reduce infant and child mortality, children 0 – 5 and expecting mothers are seen by the pediatrician. In addition, FIMRC staff is responsible for pre-natal and post-partum care that focuses on well child visits, health education and disease prevention. Health outreach includes but is not limited to house visits, an expecting mother health education group and special campaigns targeted at expecting mothers. The Women's Health Program is run by a local OB/GYN who provides consults to expecting mothers as well as women in need of specialty services. Both the pediatrician and OB/GYN are some of the region's only specialists. In 2009, Field Operations Manager Greg Macdonald conducted a community diagnostic aimed at better identifying the needs in Limón and the surrounding communities. A copy of the resulting analysis can be found here. After an extensive analysis of the community and the identified needs, we have built trust and worked to fully integrate ourselves into the community. We listen to the families in Limón, Las Salinas and the surrounding areas and have therefore established programs based on this knowledge and our relationships. With the support of our volunteers, we dedicate our resources to three main areas of focus: pediatric clinical services, health education and special initiatives. Below are a few examples of our work at Project Limón. Project Limón provides a unique experience for volunteers, all of whom contribute to the current needs and initiatives on-site. The remote, tropical environment allows for volunteers to truly immerse themselves in a small, picturesque community. 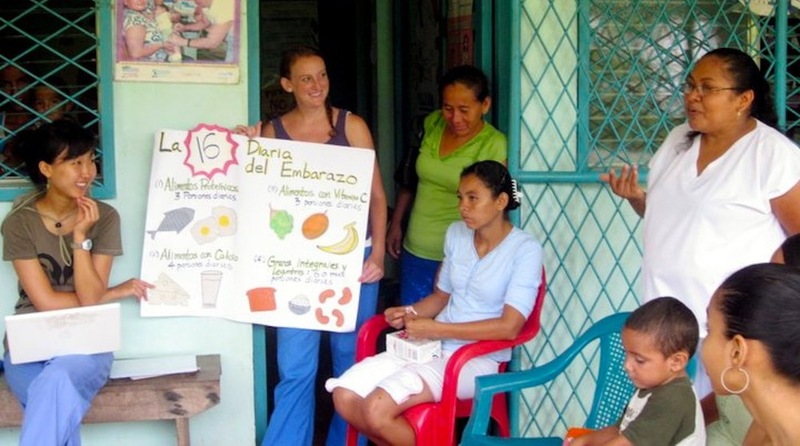 Whether you're giving a training on reproductive health to local schoolteachers, teaching diabetics how to test their blood sugar, or spending the afternoon taking vital signs in the clinic, your efforts allow us to better serve the residents of Limón and the surrounding communities. All volunteers have the opportunity to participate in both the clinical and health education aspects of operations on-site, and activities can range from participating in home visits for pregnant women to observing the pediatrician. Over the course of your trip you'll receive an unfiltered experience in health care field work abroad, and learn about the tremendous impact that even one person can have. At our end, so as to maximize your contribution, we will tailor your experience based on current needs, your interests, training, and amount of time that you spend with us on-site in Limón.